- they were not ultra light motorized aeroplanes because they produce a different and specific sound". Official statements made by politicians or Army officials are not usually taken seriously by ufologists. This time things were different: instead of the ufologists, it was now the sceptics who were crying "cover-up", suspecting that the Air Force was taking advantage of the UFO excitement to draw public attention away from test flights of state-of-the-art experimental planes. Because of the proportions the Belgian wave had taken on, UFOs were now being regarded as a serious problem at the highest levels. Throughout 1991-1993, the possibility of establishing a European Centre for UFO Reports was on the agenda at no less than ten meetings of the European Parliament. The idea for a coordinated UFO centre was supported by Belgium's vice-premier Elio DI RUPO. A scientist by training, DI RUPO wanted clear answers, but in the end the British - always a little averse to European collaboration - crashed the dream of many a ufologist when they exercised their veto and insisted that the Community's money could be spent in more useful ways. On July 11, 1990, Lieutenant-Colonel DE BROUWER held a remarkable press-conference at the NATO headquarters at Evere, Brussels. In the presence of a considerable crowd he acknowledged that something highly unusual had occurred in the night of March 30-31, 1990. On that date, several gendarmes from a location just south of Brussels had observed inexplicable lights in the sky. Most thought the lights were stationary, though some reported possible movements. At about the same time, a radar station had picked up a fast moving target. Immediately, two F-16 fighters were scrambled. Although the pilots never made visual contact with anything out of the ordinary, one of them had managed to videotape the jet's radar display. Analysis of the tape by scientists, military experts, and sceptics would later reveal that the freakish radar returns had been caused by an unusual meteorological condition in combination with a malfunction of the radar's electronics. The lights that had been seen just prior to the scramble were positively identified as bright stars and planets . Despite the fact that this explanation was accepted by everyone involved in the analysis of the March 30-31 incidents, the story of the F-16 UFO chase became a myth of its own and to date is still presented as proof of an extraterrestrial manifestation in UFO magazines and on UFO web sites around the world. Coincidentally, only minutes after the F-16s had returned to base, a man in Brussels had managed to capture "the flying triangle" on video. 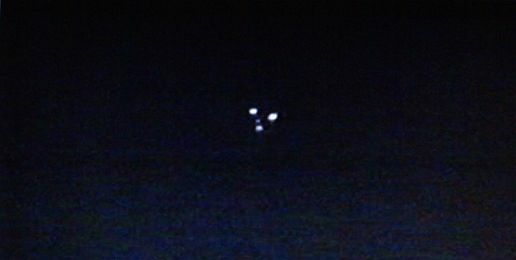 The images, shown on television in many countries, depict the now well-known configuration of three white lights and a pulsing red light in the centre. SOBEPS investigators suspected that the witness had filmed an airliner preparing to land at Zaventem airfield. It further turned out that the man had encountered "UFOs" and "space beings" on other occasions as well, both before and after March 31. Black and white still from the famous Alfarano film taken in Brussels on the night of March 30-31, 1990. There is a consensus among Belgian ufologists that the film shows an airliner. The small dot in the centre is a red flashing light, presumably the plane's anti-collision light. As in any modern UFO flap, many more videos turned up. The majority of the images show luminous dots filmed against a plain dark background, most of them readily identifiable as aircraft lights or bright stars or planets. In one instance the reflection of sunlight in distant windows was taken for a low hovering UFO. Other strange night lights turned out to be generated by imperfections in the auto focus system of early generation camcorders. Many of these early systems had problems focusing on a small point of light. This often resulted in photographic artefacts by which bright stars or planets are transformed into large semi-transparent discs, sometimes with peculiar indentations. Old-time ufologists told us that they were sure the Belgian UFOs were not "the real thing". To back up their assertion, they point to the low number of entity reports and daylight sightings, and to the absence of electromagnetic effects (such as the stalling of car engines, compass-needles running mad and interference with radio and television reception). According to these ufologists, such effects characterized the "genuine" flaps of the past. Also markedly absent during the Belgian wave were reports of traces on the ground or on vegetation. Only four such cases were recorded, none of which constituted proof of any unusual event. In those instances where the traces were still visible during the investigation, they proved readily identifiable as fairy rings. Occasionally, UFOs were reported from neighbouring countries as well, but the majority of the sightings occurred on Belgian soil, within an area only about 200 km (124 miles) long and 100 km (62 miles) wide. Apart from the first series of reports, which came from the Dutch- and German-speaking areas in the east of the country, almost all consecutive sightings emanated from the southern, French-speaking area (Wallonia). When plotted on a map, the dissemination of the reports indicate that the wave started in the east, then shifted to Liège and finally to Brussels, where SOBEPS had its headquarters. It is hard to escape the implication that cultural factors and the location of UFO investigators exercised an influence on the reporting process. 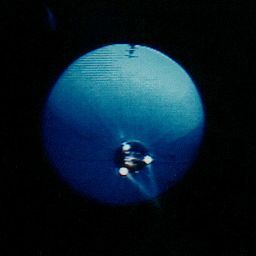 The flap lasted 16 months but it took only a fortnight to transform the traditional nuts-and-bolts image of the flying saucer into a new high-tech UFO, one that pops up almost exclusively at night, looks like a dark angular structure and carries several bright lights, sometimes accompanied by a panoply of luminous "special effects". Triangle- and boomerang-shaped UFOs had been reported in the past, but only in the 1980s did they come to dominate the international scene. Today, anyone who claims to have encountered a domed metal saucer and its helmeted occupants is liable to meet with scepticism, even from members of the UFO community. Although many cases could be classified as misinterpretations, a considerable percentage remains puzzling to this day. Especially those incidents in which independent witnesses reported seeing similar objects at close range, during the same night, and within a well-defined area. Three such peak days stand out: November 29, 1989, December 11-12, 1989, and March 12, 1991. The most widely spread viewpoint on the Belgian UFOs, is that the objects sighted were military test-planes, probably of US manufacture. Ufologists and sceptics alike have spent hours scrutinizing aviation magazines for the latest news on black projects such as the Black Manta, the Avenger, the Aurora, the Senior Citizen and the LoFlyte. After all, the often reported configuration of a red pulsing light surrounded by three white lights is consistent with international lighting regulations for aircraft. Furthermore, the revolutionary concept of the first generation stealth planes still sparked the imagination in 1989-1990 and the descriptions of the UFOs were completely in line with these newest trends in aviation design. However, what most commentators failed to take into account was that the experimental planes mentioned above are supposed to be fast aircraft, not capable of hovering close to the ground and executing sharp turns, as is described in the best-documented cases. Another question left unanswered is why aircraft executing covert military test flights would fly over densely populated regions carrying blinding spotlights. Several researchers distrustful of exotic interpretations, argued that the descriptions closely resembled that of an ultra light motorized vehicle. This hypothesis was supported by a rumour that a fighter pilot had flown a home-built ULM without the permission of his superiors. But the rumour, although emanating from a respected source in aviation circles, was never confirmed. Focusing on the unusual flight characteristics of the objects (extremely slow flight and sharp turns), some investigators sought salvation in the blimp hypothesis. One of the reasons why a blimp was considered a suitable candidate, was that only few witnesses had actually seen a triangular platform. In many cases a different shape, or merely a configuration of lights, was reported. The soft humming noise that often accompanied the objects, was an additional element that pointed in the direction of a motorized balloon. Moreover, on November 29, 1989, several witnesses located south of the lake of Gileppe, had seen an cigar-shaped object in the daylight sky only a few hours before the gendarmes from Eupen had their famous encounter north of the lake. When on top of all this it turned out that a company in Brussels was actually building radio-controlled blimps equipped with bright spotlights, hopes were high that the balloon explanation would be confirmed. However, things turned out differently. The owner of the blimps was an eccentric inventor by the name of Michel K. At the time of the Belgian wave, K. rented out his balloons for publicity purposes. Among the types available were a spherical balloon 2.50 m (7.5 feet) across and a 10 m (30 feet) long cigar-shaped blimp, both with a camera and spotlights underneath. Besides adding lustre to concerts, fairs and all sorts of public events, K. also hoped to gather a few orders from the military. After all, a balloon with a camera makes an ideal reconnaissance vehicle to spy on hostile grounds. One of Michel K.'s radio-controlled spherical balloons filmed during an indoor concert. This specimen is about 2.50 metres across and equipped with a camera and three spotlights. Investigators suggested that a similar contraption was at the origin of the Belgian UFO wave. It is now considered unlikely that these balloons were ever flown outdoors. K. however had a strange way to go about things. When a demonstration at the Brussels Museum of Aviation did not bring about new contracts, he contacted Major-General DE BROUWER and the country's intelligence services, claiming that he himself had single-handedly started the Belgian UFO wave and was now prepared to prove as much in exchange for a big amount of money (625,000 euro, to be precise!) . Both the Air Force and the intelligence services gave little credence to K's claims and turned the offer down. In 1993, during a telephone conversation with a friend of the author, K. denied having ever flown his radio-controlled balloons outdoors . He then disappeared into thin air and that was the end of that story . It was not until 2002 that a new breakthrough was achieved. That year CAELESTIA received the first of a long series of letters from French investigator Renaud LECLET. LECLET had taken a fresh look at some of the unexplained sightings and found that both ufologists and sceptics had overlooked one of the most obvious explanations of all: helicopters . For a detailed discussion of one of the key sightings from the Belgian wave, see our case example Ernage - December 11, 1989 and the numerous responses generated by this article. VANTUYNE, Patrick, PRO-CEETI Rapport, December 1989. MEESSEN, August, "Etude approfondie et discussion de certaines observations du 29 novembre 1989" in Inforespace Vol. 26, No. 95, October 1997, pp. 16-70. Société Belge d'Étude de Phénomènes Spatiaux (Belgian Society for the Study of Space Phenomena). . In June 2007 SOBEPS announced its dissolution. The reason was the decline in membership and in articles submitted to the group's journal Inforespace. A transcript of this interview (in Dutch) can be found at www.dossierx.nl. CAUDRON, Dominique, "C'est vrai : je l'ai vu !" in Science & Vie No. 877, October 1990, p. 39. HALLET, Marc, various communications in the course of 1994. Renaud LECLET departed life at the age of 35, before he could finish his remarkable study on the Belgian wave. Fortunately, his preparatory text, notes and documentation were recuperated and have been re-worked into a new text by a team of Belgian and French researchers. An English version of this text in PDF format was published in 2008 by the Comité Nord-Est des Groupes Ufologiques (CNEGU). This article appeared in a different form in issue number 6 of The New Ufologist and in UFOs 1947-1997 - Fifty Years of Flying Saucers, edited by Hilary EVANS and Dennis STACY for Fortean Times (John Brown Publishing, London, 1997). Parts of the text were also used for an entry on the "Belgian wave" in Ronald D. STORY's The Encyclopedia of Extraterrestrial Encounters (New American Library,New York, 2001).